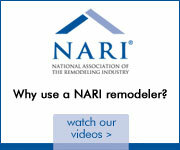 Licensed Contractor, EPA Certified, NARI, IICRC, Registered | MA Restoration Inc.
At M.A. Restoration, we take training seriously. IAQA Certified Mold Remediation supervisor and technician training. The Clean Trust Water Damage Restoration and Fire & Smoke Restoration. Department of Public Safety Construction Supervisor License. Lead Safety for Remodeling, Repair and Painting course and received certification as part of the EPA requirements mandated in April 2010. This training allows M.A. Restoration to effectively remodel homes built pre-1978 making sure that the lead paint dust will be minimized and controlled, the job-site properly cleaned and contaminated debris properly disposed of. Safety Training; Lead in Construction, Fall Protection, Respiratory & Personal Protective Equipment, Respiratory Fit Testing, OSHA 10 Construction, OSHA 30 Construction. Continuing Education for Water Damage Restoration Technician Certification. Violand Management Associates, LLC-Restoration Project Management Course. Successful Subrogation 1. Claims Training Services. We are fully trained and certified in IICRC (The Clean Trust) for complete water damage restoration, ADI Certified for structural drying using state-of-the-art techniques and water removal equipment, RIA Certified for mold remediation and NARI Certified as Certified Lead Carpenter.